Photography and cover design: Ph. F.
FlashBIOS: Un avant go�t de premi�re! A good single. Akuma video track also very good. If the single is this good, then the CD Inhuman is gonna be great! After listening to the ZOOPSIA single, I am left in anticipation of the INHUMAN cd (I enjoyed the bonus video footage, I hope future Die Form releases contain further bonus videos). With each new Die Form release I obtain, it is another chapter from a book I look forward to devouring ! 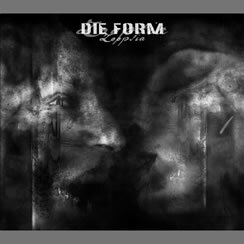 Today, I finally bought Die Form`s new Cd: In Human. I may only say�It`s wonderful. That`s how my life sounds. I hope I can find the single. By far my favourite Die Form single to date.